A large part of the uniqueness of sleep-away camp is defined by our children living together within the walls of our modern, comfortable and rustic bunks. Life in the bunk is about having fun, making friends, and learning to live and work well with others. Relationships with bunk-mates and counselors are at the core of the Poyntelle experience. 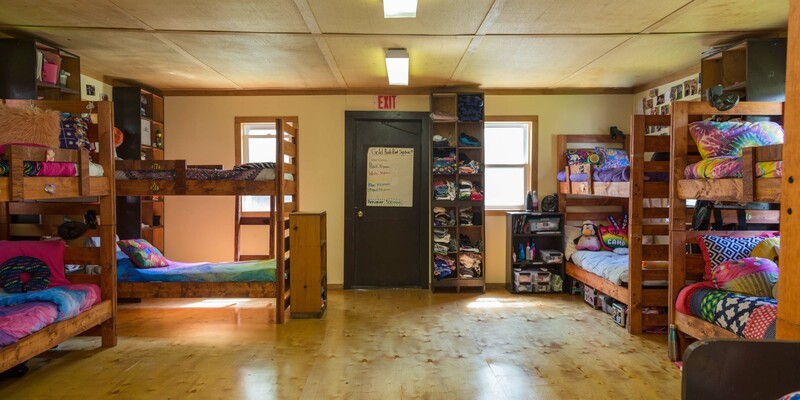 When assigning bunks, our camp values direct our focus on success for everyone in the age group. In the end, we have a geographically diverse mix of children, with similar personalities and dynamics to help foster a comfortable and fun environment in which children are encouraged to gain independence and take the next steps in their social development. During the summer, the Directors and our talented team of trained key staff members guide campers as they navigate their social worlds, create memories and and develop lifelong friendships. Three to four responsible and caring camp counselors live in each bunk, and help care for the well-being of the campers. Our bunks are filed with rustic charm, plenty of space and all the modern conveniences necessary to accommodate today’s camper. Each bunk has electricity, modern bathrooms, personal hot showers, private toilets and plenty of cubby and storage space. With all that, there is still enough space for traditional bunk activities like playing cards, jax, making bracelets and telling stories. The bunk is where the most special of summer camp memories are made! Your child’s first experience at Poyntelle is magical, filled with the excitement of the unknown. We will ensure their bunk assignment fosters their transition to camp and helps them feel comfortable and welcome from the moment the step off the bus. 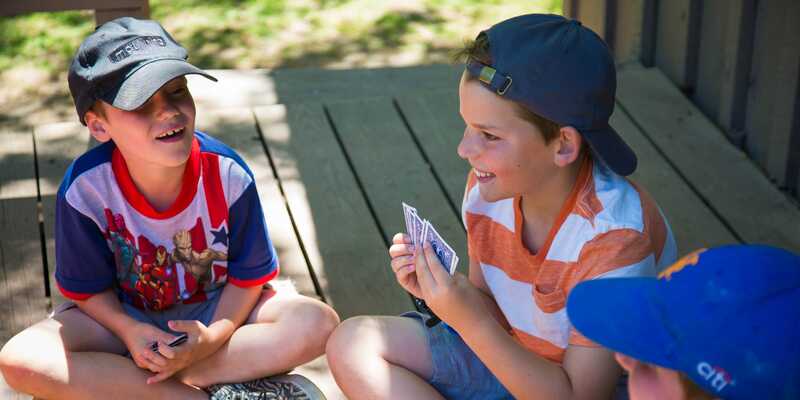 Getting to know you and your child enables us to set them up for success in camp by matching their personalities, interests and passions with other children – new or returning! We welcome new children into our camp family and help them to develop social connections that are the foundation of their Poyntelle experience. Before the summer begins, we happily connect new families to current members of our community for play-dates or phone calls. We often find that a friendly and known face helps new campers focus their attention on the fun and excitement of starting their sleep-away camp journey.